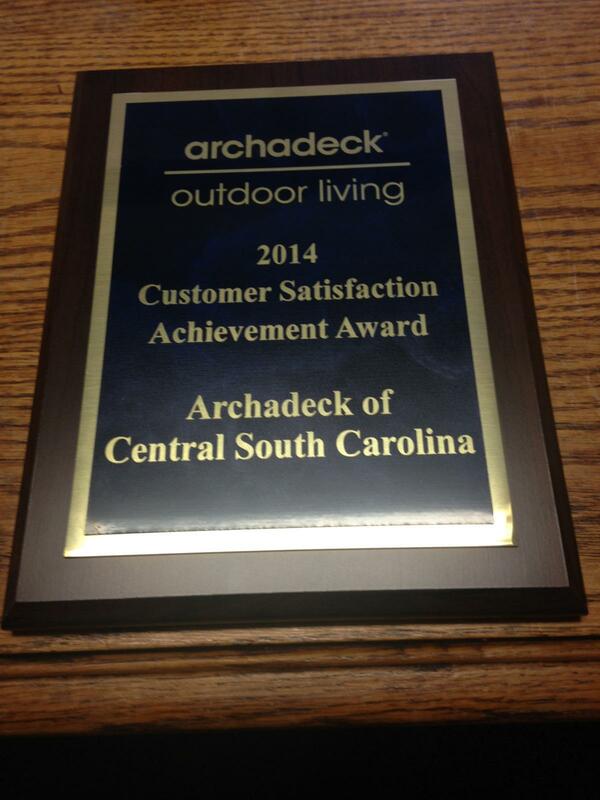 Archadeck of Central SC Celebrates National Home Improvement Month! May is National Home Improvement Month. At first blush, this doesn’t sound like much fun; in fact, it sounds a lot like work, but it has tremendous potential to change the way you look at and live in your home. 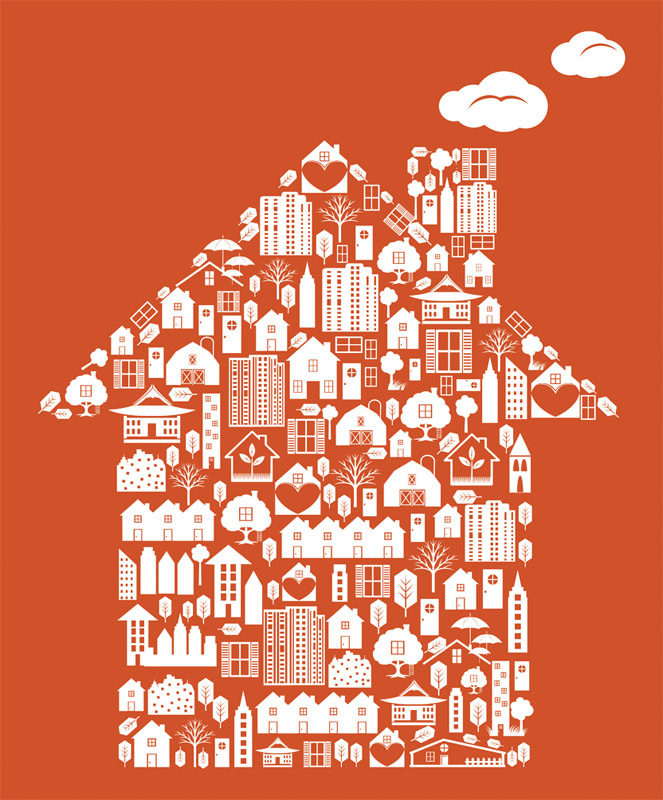 What parts of your home do you enjoy the most? What would you like to change? What could you add or improve in your home that would make you want to spend more time in it? 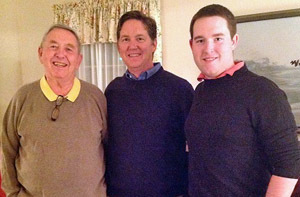 Home improvement isn’t just about fixing a sagging door or replacing shrubbery. It’s about reimagining your family’s home as you would love it to be. This entire month is recognized as National Home Improvement month through the National Association of the Remodeling Industry. In honor of the occasion, NARI is providing chapters and members with valuable information they can use to get homeowners interested in remodeling this season including outdoor living structures! As a proud member of NARI, Archadeck of Central SC wants you to know that we specialize in designing and building custom outdoor living structures in and around Columbia, SC. Our outdoor living spaces not only increase your enjoyment, they also add value and function to your home and landscape. According to the report, outdoor living spaces such as composite (low-maintenance) decks and wooden decks show a dramatic return on investment (ROI) in the Columbia region. A deck addition built of composite reflects a ROI of nearly 116%, with a deck addition built of wood recouping a whopping 117.8%. 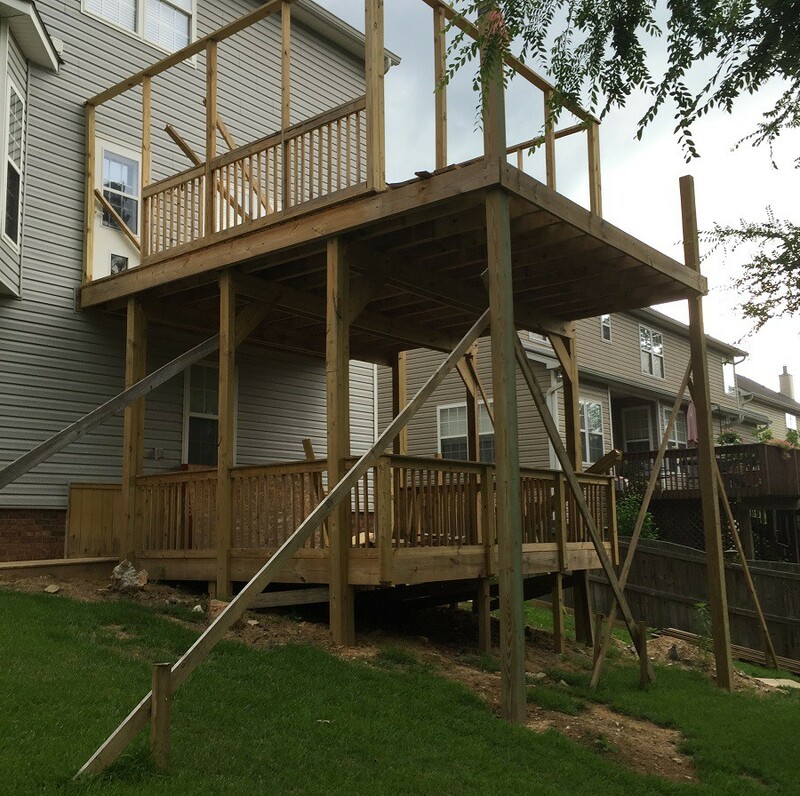 This is good news for homeowners considering a deck addition in the near future! When compared to the national averages and those of the South Atlantic region, Columbia comes out on top. 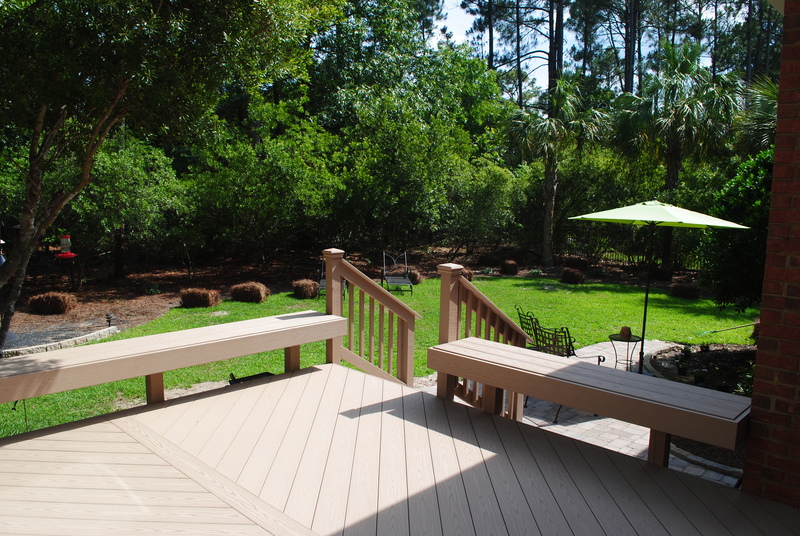 The ROI for a composite deck addition in the South Atlantic region is 69.2% and wood is 80.6%. Columbia is far above the most recent national average ROI where a composite deck reflects a 64.4% cost recoup, and a wooden deck reflects a 75% cost recoup. If you’re thinking about adding an outdoor living space to your backyard, give us a call to see how we can make creating your dream backyard an enjoyable experience, start to finish. You can reach us at (803) 603-2160 or via email at centralsc@archadeck.net. This entry was posted in Custom Outdoor Living Designer & Builder, Deck design, Decks, Home Improvement & Remodeling and tagged 2016 Cost vs. Value report, Archadeck of Central SC, Archadeck of Central South Carolina, Carolina Lakes Columbia SC deck builder, Columbia SC Composite Decks, Columbia SC Deck Builder, Columbia SC Outdoor Living Structure Builder, Columbia SC wooden decks, Creating the perfect Columbia backyard, Finding the right outdoor living contractor in Columbia SC, Florence SC deck builder, Irmo SC Deck Builder, Lexington deck builder, Making your Columbia SC dream backyard a reality, National Association of the Remodeling Industry on May 9, 2016 by archadeckofcentralsc. It’s a New Year and that means a new YOU! Part of your New Year’s resolution may be moving forward with that new (or improved) outdoor living space you have been yearning for! 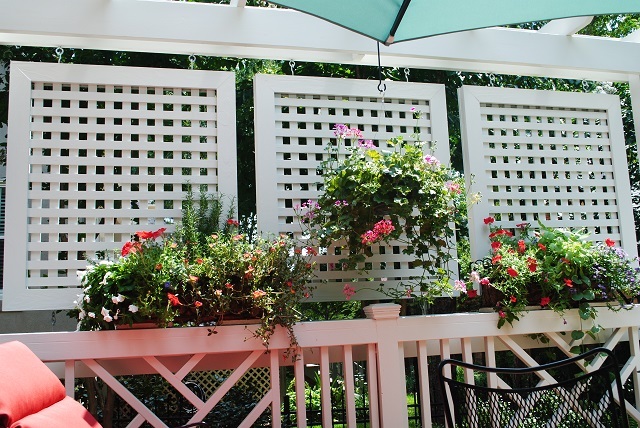 Are you on the fence about adding an outdoor living space to your backyard? Or maybe you are ready to proceed with your outdoor living structure project and need help in making your vision a reality? 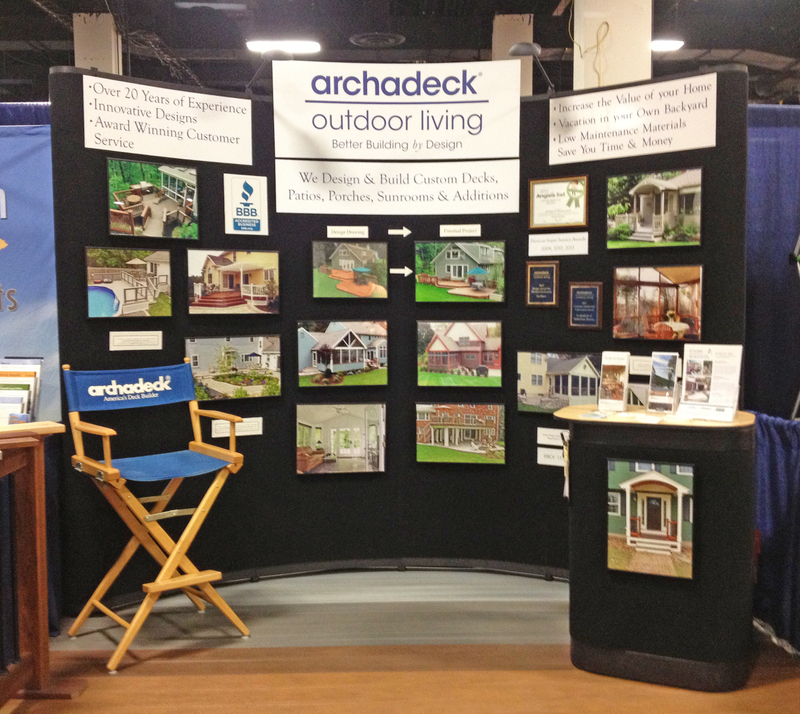 Good news – Archadeck of Central SC will be at the Columbia Home Building and Remodeling Expo this weekend. 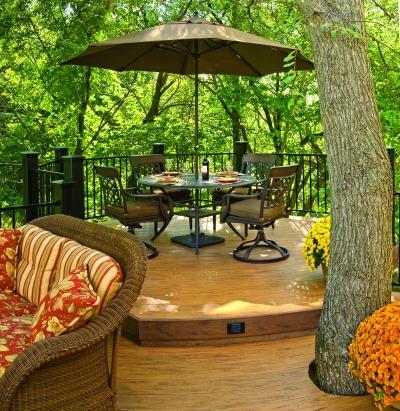 Archadeck is the the Columbia area’s premiere outdoor structure design and building company. Along with inspiring examples of a wide array of outdoor living designs, we will be there to answer all your questions and concerns about creating the backyard you have always wanted. The show is being held at the Columbia Metropolitan Convention Center. This comprehensive and expansive home show brings together homeowners and many of the most knowledgeable and experienced remodeling and building experts in the area. Every aspect of the home can be explored, from the inside out. Professionals will be on hand to share their valuable knowledge to bring your ideas to life or inspire you with new ones. You will see the latest innovations and design trends. Experts will be showcasing everything for the home. This is the show you don’t want to miss! Archadeck of Central South Carolina will be located in booth #607, and our sister company, Renew Crew of Central South Carolina, will be located in booth #407. Please stop by and say hello! We look forward to meeting you this weekend. 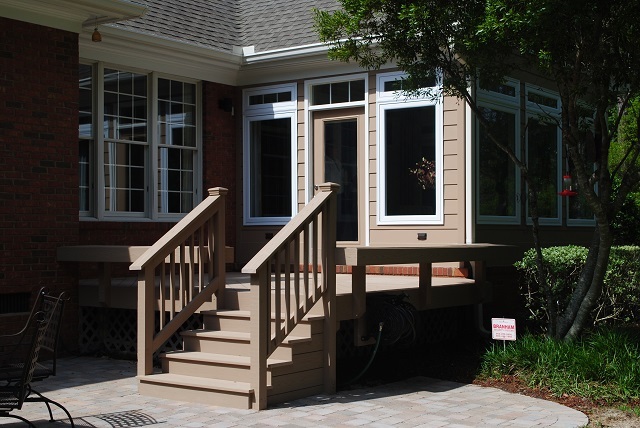 If you can’t make it to the show but would like to discuss getting the ball rolling on your outdoor living addition plans, you can contact us today at (803) 603-2160, or via email at centralsc@archadeck.net. This entry was posted in Custom Outdoor Living Designer & Builder, Home and trade shows, Home remodeling and trade shows, Outdoor Living, Outdoor living space design and building and tagged Archadeck of Central SC, Archadeck of Central South Carolina, Central SC outdoor structure experts, Columbia Home Building and Remodeling Expo, Columbia Metropolitan Convention Center, Creating the perfect Columbia backyard, Finding the right outdoor living contractor in Central SC, Finding the right outdoor living contractor in Columbia SC, Making your Columbia SC dream backyard a reality, Renew Crew of Central South Carolina, the Columbia Home Building and Remodeling Expo on January 12, 2016 by archadeckofcentralsc. Join us as we celebrate the arrival of spring this weekend at The 49th Annual Carolina Classic Home and Garden Show! Come see exhibits and displays to spark your creativity and get design inspiration for your dream outdoor living space this weekend. Archadeck of Central South Carolina will be at the 49th Annual Carolina Classic Home and Garden Show starting Friday and going until Sunday, along with other expert exhibitors to answer all your home improvement questions or remodeling needs. If you find yourself daydreaming of warmer days filled with a little rest and relaxation on a custom-made deck and natural stone patio combination space, or maybe a fun-filled BBQ in a fully stocked outdoor kitchen with dining area, this is the one show you can’t afford to miss! The event takes place this weekend at the SC State Fairgrounds, in Columbia, SC, where all four buildings and outdoor areas will be filled with over 250 exhibitors in all areas of home building, remodeling, gardening and so much more. Our professional outdoor living design staff from Archadeck of Central South Carolina will be located in the Cantey Building, booth numbers 205, 206 and 207. Be sure to stop by and see us! Admission is $6 for adults (or click HERE for your FREE TICKET), kids 14 and under are free, seniors 62 and older have free admittance on Friday, March 13, and active duty service personnel receive a discount at the door with proper military ID. Parking is $2 per vehicle and attendees should enter through Gate 6 located on George Rogers Blvd., near Williams-Brice Stadium. This entry was posted in Custom Outdoor Living Designer & Builder, Home and trade shows, Home remodeling and trade shows, Outdoor Living, Outdoor living space design and building and tagged 49th Annual Carolina Classic Home & Garden Show, Archadeck of Central SC, Archadeck of Central South Carolina, Central SC outdoor structure experts, Creating the perfect Columbia backyard, Finding the right outdoor living contractor in Central SC, Finding the right outdoor living contractor in Columbia SC, Making your Columbia SC dream backyard a reality on March 9, 2015 by archadeckofcentralsc. This is our seventh and final installment in our series about the Seven Keys to Finding a Great Contractor. This certainly applies to my business of building premium decks, porches and sunrooms, but really these principles apply to almost any area of work you might have a contractor perform services for you. The warranty serves as the back-up plan for a consumer if things don’t go right with the builder. This applies to major problems in having the project completed (unscrupulous contractors have been known to walk away from a job when it gets difficult or too expensive to make things right), or may apply to things that come up after the job is done and the contractor has been paid. Small – and sometimes not-so-small – repairs are often needed after a job is completed. This is normal in construction as materials can change as they weather, buildings settle, and sometimes things become apparent weeks or months after construction is finished that were not apparent when the job was being performed. A warranty is important because it outlines in advance what the builder is and isn’t willing to do to fix problems after the fact. Without a warranty, the homeowner still has certain protections under the laws regarding implied warranties. However claims under these laws require the homeowner to file a legal claim, and can be time consuming and expensive, not to mention stressful. 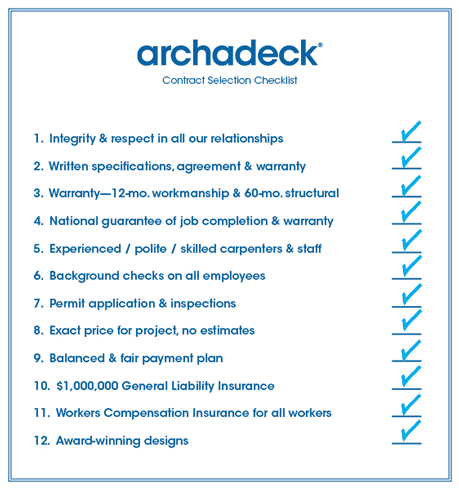 For the record, at Archadeck our warranty covers the entire project (meaning that we will fix anything that’s not right) for one year, and further covers structural issues (foundations, integrity of framing, roof leaks, etc.) for a period of 5 years. 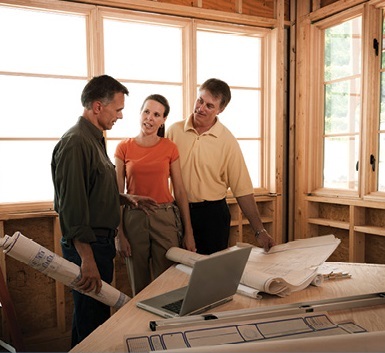 A homeowner’s best protection regarding warranty issues is to use a builder that is stable and has a good reputation. If a contractor goes out of business or moves on to another job or another area, it may be next to impossible to get something fixed after the fact, regardless of the written or implied warranty. On the other hand, a contractor that is concerned about his company’s reputation is more likely to meet or exceed what is written in his warranty. Homeowners can check with the Better Business Bureau and check a builder’s references and online reputation to see what his history is regarding honoring warranty claims. Once again, this is an instance where the cheapest builder may not be the best choice for you if there is a risk he won’t or can’t stand behind his work months or even years down the road. The other major area of warranty coverage is what happens if the contractor defaults during the construction process. This is not that unusual, and can be a BIG problem for the homeowner. This can happen for a multitude of reasons, including illness, financial failure, a job change, or a contractor simply pulling out of a job because he bid it wrong and knows he is going to lose money on it. Again, legal remedies are available, but they will involve time, money and stress. And again, this is a case where the more stable and reputable the contractor, the less your chance of running into this kind of problem. Archadeck actually provides a guaranteed insurance program that covers customers if the local Archadeck office cannot complete a project due to death, illness or going out of business. In this event, the Archadeck corporate office will pay to have the project completed by another Archadeck location. One final word about warranty protection. It may be very difficult to pursue legal action against a contractor if you do not have a signed contract. This contract should specify the price, the scope of work, the timing of the work, etc. Without this document you may not be able to prove what work was agreed upon and therefore what implied warranties should cover. Once again, here’s another reason to use a professional contractor who follows good business practices and not just a carpenter who can build you a cheap deck! Our commitment to excellence in outdoor structure design and building ensures your project is built with quality and longevity in mind. 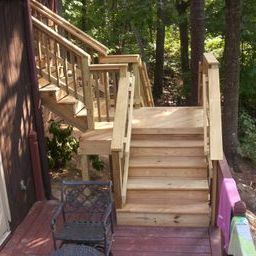 Call Archadeck of Central SC today for a free design consultation at (803) 603-2160 or email us at centralsc@archadeck.net. This entry was posted in Outdoor Living, Outdoor living space design and building, Series on the 7 keys to finding a great contractor, Warranty & Protection and tagged Archadeck of Central SC, Archadeck of Central SC on Pinterest, Archadeck of Central South Carolina, Archadeck of Central South Carolina on Houzz, Archadeck Value, Archadeck Warranty & Protection, Attention to Details, Building an outdoor living project that is right for you is key to the long-term enjoyment you get for your money, Central SC outdoor living combination builder, Central SC outdoor structure experts, Columbia SC outdoor structure, Columbia SC outdoor structure design and building, Columbia SC outdoor structure planning, Finding the right outdoor living contractor in Central SC, Finding the right outdoor living contractor in Columbia SC, Seven keys to finding the right contractor in Central SC, Seven keys to finding the right contractor in Columbia SC, Sixth installment in our series about the Seven Keys to Finding a Great Contractor, The importance of warranties in finding the right builder, The importance to details in your Central SC outdoor living space design on September 21, 2014 by archadeckofcentralsc. Panel detail on custom privacy screen in Columbia, SC. 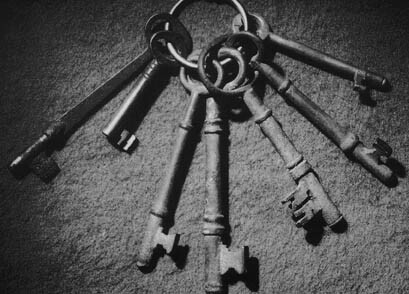 This is our sixth installment in our series about the Seven Keys to Finding a Great Contractor. This certainly applies to our business of building premium decks, porches and sunrooms, but really these principles apply to almost any area of work you might have a contractor perform services for you. This statement is true in life, and it’s true in the construction business. There are thousands of little details that go into a building project – some that you see, and some that you don’t. But their sum total makes up the look, feel and underlying quality of the project as a whole. One of the little things we do behind the scenes at Archadeck to ensure the details are properly followed is to generate actual blueprints of every deck, porch or sunroom we design. 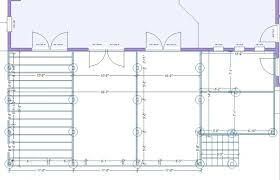 Our carpenter uses these plans in the field to eliminate questions and to avoid the “personal interpretation” that can occur if the project that the salesman and the customer agreed to is not clearly communicated to the guys actually doing the building. Together with these blueprints, we have a Construction Master File that details exactly how each feature of a project – railings, steps, footings – are to be built. Without this common reference each carpenter would be left to build in the way that he sees fit, which is not a recipe for consistency or quality. There are many other details – both aesthetic and structural – that come as a result of having built thousands of projects. For example, on our deck and porch structures, our standard is to run the decking boards diagonal to the framing boards. 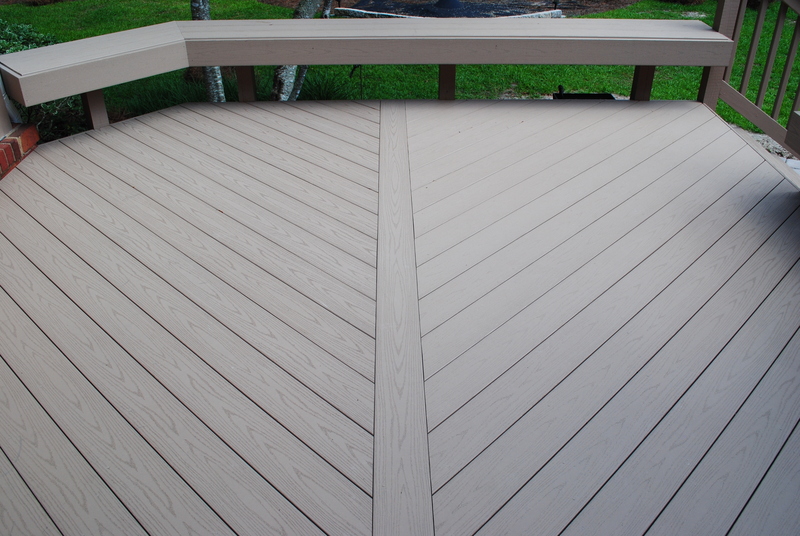 This gives the deck an interesting and distinctive appearance, but that’s not why we do it. We do it because running the decking on the diagonal gives the structure a bracing effect that exponentially increases the resistance to any horizontal or vertical stress shifting that could occur. This results in a surface that feels much more solid and tight as you walk on it. Saluda River deck in Columbia, SC. Other examples of details built into our construction: hiding the board ends with trim to achieve a more finished look, use of stair risers to give stairs the same appearance as you have inside your home, and the use of screws, rather than nails, in the decking. These features all go towards giving your project a professional, finished look, and also they are what give our projects a distinctive “Archadeck” look that is consistent across the country. This discussion has been somewhat internally focused on the way we do things at Archadeck, mainly because that’s what we know. As it relates to the theme of Seven Keys to Finding a Great Contractor, these same attributes are universal for any construction project. Not so much the details such as running decking boards on the diagonal, but rather the level of thought and effort that have gone in to defining what details will and won’t be followed. Sometimes the only way to determine a contractor’s attention to detail is to look at his work, and compare it to the work of others. If you don’t have an experienced eye for noticing these details, your prospective contractor should be able to easily and proudly point them out to you. But I bet that you can tell by looking at some examples of projects if they display the style and touches that you expect, even if you can’t put your finger on exactly what those touches are. Our commitment to excellence in outdoor structure design and building ensures your unique project is built with attention to even the smallest details. 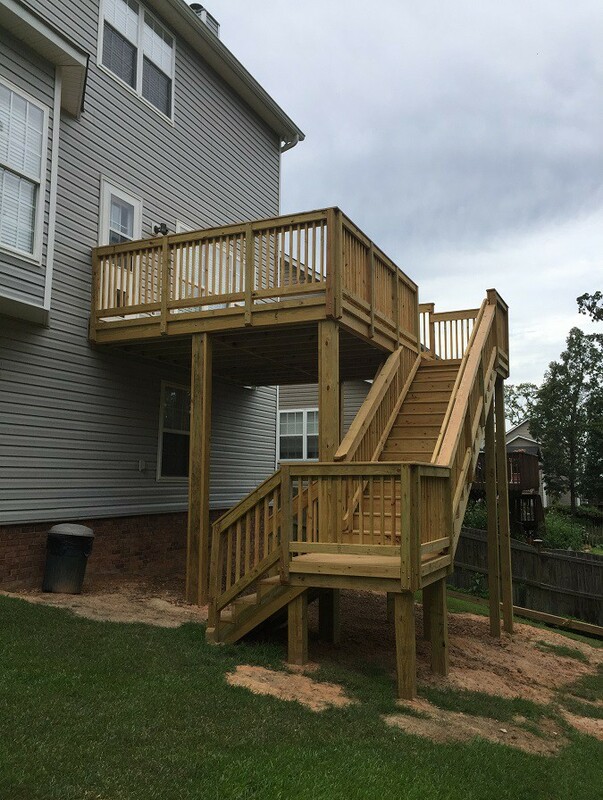 Call Archadeck of Central SC today for a free design consultation at (803) 603-2160 or email us at centralsc@archadeck.net. This entry was posted in Attention to Details, Outdoor living space design and building, Series on the 7 keys to finding a great contractor and tagged Archadeck of Central SC, Archadeck of Central SC on Pinterest, Archadeck of Central SC's fifth installment in our series about the Seven Keys to Finding a Great Contractor, Archadeck of Central South Carolina, Archadeck of Central South Carolina on Houzz, Archadeck Value, Attention to Details, AZEK, Building an outdoor living project that is right for you is key to the long-term enjoyment you get for your money, Central SC outdoor living combination builder, Central SC outdoor structure experts, Columbia SC outdoor structure, Columbia SC outdoor structure design and building, Columbia SC outdoor structure planning, Finding the right outdoor living contractor in Central SC, Finding the right outdoor living contractor in Columbia SC, Seven keys to finding the right contractor in Central SC, Seven keys to finding the right contractor in Columbia SC, Sixth installment in our series about the Seven Keys to Finding a Great Contractor, The importance to details in your Central SC outdoor living space design on August 12, 2014 by archadeckofcentralsc.